Aliexpress – reviews. Is it legit and reliable in 2019 ? 1 Is buying products from China cost-effective at all? 3 But why so cheap if even at the local manufacturer’s it’s more expensive? 5 Is it possible to avoid customs duties? 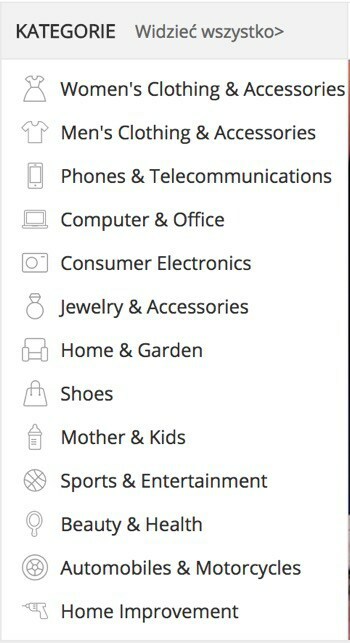 6 Payments at Aliexpress are now a piece of cake! 8 What did my Aliexpress story look like? 9 So, all things considered, is shopping at Aliexpress worthwhile or not? For a long time I had been considering shopping in China via Aliexpress, and my friends succeeding in this very field over and over again actually brought me closer to taking this step. Is buying products from China cost-effective at all? Yes, this is a question that everybody has to resolve at the very beginning, before making any purchases in China. I found out fairly quickly that the answer is not that obvious. It’s true, lots of items in China are cheaper than here, in our own country, mainly because we don’t have to cover the high broker and reseller markup but… yes, there is a certain “but”. It turns out that especially in the case of electronic equipment the pricing is not always as attractive as it might seem. Purchasing even a simple terrestrial digital television decoder at Aliexpress means practically the same expense as in the stores common in our country, but we will have to wait 30 or even 60 days for the package to arrive. There is just one solution. Every time I plan to buy something in China, I first perform a thorough reconnaissance of the our market. I the prices are similar, believe me, it’s not worth ordering in China for the sake of some ridiculously tiny savings. It’s easy to file a complaint about something bought in your own country, and in the case of a product delivered straight from China it all of a sudden turns into a huge challenge. The word “Aliexpress” keeps popping up extremely frequently nowadays, although even recently no one even imagined buying anything there. Contrary to appearances, it’s not an equivalent of European auction portals, although it looks just like them, and, funnily enough, I used to think so myself. The portal, in fact, is a go-between, a kind of bridge directly between the buyer and the manufacturer. It is important because it allows us to buy at retail level from the manufacturers; not in every single case, of course, but most of the time. The rest is just a typical internet store and I think that nowadays I don’t need to explain this part to anybody. But why so cheap if even at the local manufacturer’s it’s more expensive? Indeed, manufacturing anything in China requires just a fraction of the financial investment compared to our production, which is still relatively inexpensive, not to mention the goods made in the West. Cheap labor is the key word, and to this one can add truly enormous factories with unparalleled production capabilities that would be hard to find in Europe. To this inexpensive production process we add, of course, buying at the source, which is always cheaper, since we are skipping all the intermediaries, who obviously have to make some money as well. Would you like an example? Recently, I needed a new computer mouse, since the old one ended up on the wall due to my nerves so many times that it was beginning to give up. I like illuminated peripherals, and I also play games a lot, so the cheapest mouse that would meet my expectations cost around 30 bucks, if purchased in our country. I’d like to stress that it was really a low-end one. Without much thought, I found an interesting piece of equipment in China and I spent on it eight dollars with change. Is it doable? Of course it is. Making purchases in China is cheaper because… it’s simply cheaper there, in every respect 😉 and I think this is the best answer to this frequently asked question. Electronics for men. Best bargains! When looking online for information on shopping on Aliexpress, I frequently came across subjects associated not only with payment methods as such, but with – and even first of all – with customs duties. I will begin with this latter topic, then, since I think that this matter really calls for solid explanation. Customs duties and VAT criteria are not particularly complicated, but I would recommend writing them down somewhere so they are always handy. According to the current European Union law, everything that crosses the outside borders of the union (interestingly, the regulations describe it as third country goods) is to be taxed but with some exceptions. Customs duties are to be paid on shipments whose value exceeds 150 euro, which is quite a lot. What’s more, cellphones and all their accessories are completely exempt from customs. However, please note – and I learned it first-hand when I bought perfumes for my wife – unfortunately they were held at the border and… taxed. It turns out that everything that belongs to the category of perfumes, as well as alcohol and tobacco, is taxed, remember about that. However, the fees are not too high, customs duties are up to 5% of the shipment’s value. Is it possible to avoid customs duties? Unfortunately, it’s completely random and one must be prepared for it. It’s just another reason not to be a penny pincher and order items from China that are just a tad cheaper than in your own country, because we can really get burned. When the package’s value exceeds the set limits, many sellers will deliberately decrease the value declared on the outside of the box. Then everything depends on our luck. If some bored customs officer decides to entertain himself by opening and checking our package, whose value physically exceeds the limits – too bad, we will get taxed and these fees will need to be paid when we pick up the shipment. Remember also that there is a certain risk of losing the package entirely. If the officer opens a box with clothes that are shamelessly counterfeit, with brand name labels, it’s very likely the goods will be destroyed in the presence of a committee, and we will end up with nothing more than embarrassment. Payments at Aliexpress are now a piece of cake! Paying on Aliexpress is easy! I’ve left the subject of payments for the end because in my opinion it offers some consolation. Yes, you have to part with your hard-earned money but believe me, ironically, some time ago it was rather difficult to do so at Aliexpress. For some time now, though, the portal has been supporting a ton of popular payment systems for different countries. This means that we no longer have to figure out setting up foreign currency accounts, virtual cards in banks, money transfers to PayPal or using costly credit cards, where banks charge extra fees for currency conversion. Remember that at Aliexpress we pay with electronic greenbacks. 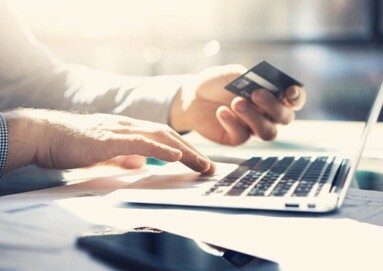 To make purchases, we obviously need to set up a free account on the website, then we place our purchases in the shopping cart and after confirming it, we move to making the payment. Just remember to always check if you’ll be paying the commission and what the amount is going to be. It’s of course true that there are still lots of people afraid of buying things online from a person living a hundred kilometers away. If we consider how far our country is from China, the matter gets even more complicated and for many the fears are huge. I would recommend, first of all, to start with placing an order for just a few dollars and not begin with expensive items, where the stress level will be enormous. On the other hand, Aliexpress is surprisingly good at taking care of its image and provides perfect protection for its buyers. After making the purchase we see on our page a buyer protection counter which counts around 60 days. What is it? Within this timeframe, if anything goes wrong, we can send a special form to Aliexpress and ask for a refund. The service does it surprisingly fast. Two of my acquaintances found themselves in a situation where the package simply never arrived, and it was not registered, obviously, since shipping was free. We were all surprised that Aliexpress did not question anything. I’m not sure if it even took 48 hours for the refunds to show up on the account. Of course, to make things more convenient, Aliexpress also supports a system of rating the sellers and commenting on them. I would recommend familiarizing yourselves with the ratings before purchasing anything, and, first of all, check how long the seller has been active on this portal. In the case of new sellers in many cases it’s better to let go and make the purchase elsewhere. What did my Aliexpress story look like? Would you like to know how my adventure with shopping in China started? It’s no secret 😉 I mentioned before that when my friends were buying ridiculously cheap electronic gadgets, I was becoming green with envy, which was ruining my (as some say) good looks. I still remember that buying the very first item, a cell phone mount for the car for less than a dollar (I know, I’m a total cheapskate…) took exactly five long days. I browsed the internet, searched for information, asked friends, checked exchange rates – in a word, I did everything that was in no way connected with the item I wanted to buy. My wife was laughing that I acted as if I were buying a house… no empathy at all 😉 Finally, I made my decision. I set up an account, placed the less-than-a-dollar mount in the cart, with free shipping to Poland, of course. I waited and waited, admittingly, it took a while – four weeks. Finally, a smiling mailman delivered the package. Even though the mount wasn’t of highest quality, my shopping success encouraged me to try again. It’s funny, there was a time when I was almost an addict. I went there daily, I searched and ordered things. Today the excitement is somewhat gone and shopping at Aliexpress is like buying bread at a local bakery, but I gained experience which I wanted to share with you at least to some extent. So, all things considered, is shopping at Aliexpress worthwhile or not? I will give you a somewhat teasing answer – yes and no… If you have read my entire post you realize that not everything bought in China has to be cheaper than what we find at our auction portals. Sometimes an item in our own country will be just a tad more expensive and in my opinion in such a situation it’s not worth the hassle to ship stuff from China. Personally, I recommend comparing the prices when you buy gadgets, electronics, clothes or even perfumes. There is plenty of great deals out there, which I have already experienced numerous times. Please comment on how your Aliexpress shopping has been going, maybe you have other interesting advice? What’s the safest solution for paying for the items purchased here and where do you pay the lowest commissions? Can you recommend something reasonable because there’s a ton of payment methods and I’m having problems choosing one. Careful of purchasing electronics, you may end up eating it, cause they don’t want to take returns of broken stuff. Last time they wanted me to send them a video of all the procedures I went through to make a device work. © BuyerCab.com 2019 All rights reserved.